Getting your children mentally prepared and excited about going back to school or to school for the first time can be tricky and stressful. We’re here to give you some top tips on getting your little ones ready for school and motivated about being in the classroom. Before the start of the new school year talk to your child about how they did last year and what they think they could have done better. You’ll have received reports and attended parent’s evenings so will have a good idea of how your little one did, where they excelled and where they struggled. Set a few goals together on where they could do better, you could offer a reward at the end of each term if the goals are met. This will help them get back into the mindset of being in school and will hopefully motivate them to stay focused and do well. You can still do this if it’s your child’s first day at school keep it simple and talk to them about what they’re going to be doing and what they want to learn, it could be as small as making a new friend or learning to write their name. This will prepare them for what school will be like and help them get excited and motivated. It’s common for your child to be nervous about their first day back to school, whether it’s a new school or just moving up a year. To help prepare them for their first day back there’s numerous things you can do to reduce anxiety: – Read through the literature you’ve been sent from the school so they know what to expect. – If it’s a first day at a new school it would be useful to do some trial runs of the journey they’ll be taking and so the school building is familiar to them and less scary. – Get them to practice getting in and out of their school uniform and sports kit, you need to make sure your little one can get dressed and undressed on their own so they are not anxious about their first P.E. lesson. – Talk to them about your positive first day experiences and how you overcame any difficulties, this will make them feel less negative about their first day. – Let them take a special item with them like a keyring or book, this may soothe their nerves during the day and it will give them something to talk about with other children. – Teach them to say hi to other kids first, they might be anxious about making new friends but having someone to sit with and talk to will help them feel more comfortable and will get them excited about going into school the next day. Try to set up a routine for your children to get them use to having to get up on time, set times they have to: – Get up – Be dressed by – Have breakfast – Leave the house This will get them in to a good habit of managing time and will hopefully make the school run a little less stressful. However, you may find that your children only want to lie in on school mornings and getting them out of bed seems impossible. Go into their room early, put the light on and some music or the radio on so they can’t go back to sleep. Prepare the night before by making packed lunches, setting out uniforms and packing backpacks so everything is done. A bad school run can put you all into a bad mood which isn’t good when going back to school. We know that not many kids will enjoy homework especially after a summer off enjoying themselves. They’ll find it hard to motivate themselves so this is where you need step in and start early by speaking to them about deciding on a homework strategy, you should work with them on it, discuss when homework will be completed and when they will be allowed to play. This will give them some control and means when they try to get out of it you can remind them that it was them that agreed to do it at that time. Be on hand when your child is doing their homework to help if they are struggling with it, don’t be embarrassed about speaking to other parents or a teacher if you don’t understand it. Things may be taught differently and the curriculum and methods of teaching will have changed. Doing a homework together is also a great way to bond and for you to freshen up on your general knowledge, which may come in handy next time you’re at a pub quiz. 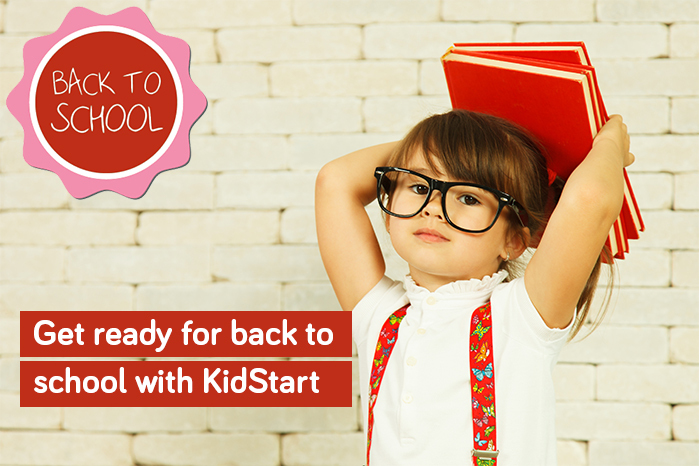 Before your little ones head back to school encourage them to join clubs if they don’t go to any already. It’s a great way for them to make friends, be more social and having a hobby has numerous benefits for your children including: – Gives them something to be passionate about and focused on – Improves self-esteem if they find something they’re competent at – They can have educational values – Can help your children stay active – Hobbies can lead to lifetime careers – It can be an activity for you and your child to bond over – Decreases stress by giving your child down-time So, whether it’s book club, football, drama or athletics, encourage your child to get involved! Head over to our back to school hub to find out more top tips and special offers on uniforms from John Lewis, stationary from Smiggle and sportswear from Nike plus many more.